Our signature mix. A one-of-a-kind twist that leaves a tart and salty taste dancing on your tongue. It's chewy and crunchy texture will keep you coming back for more. Our signature mix. A one-of-a-kind twist that leaves a tart and salty taste dancing on your tongue. 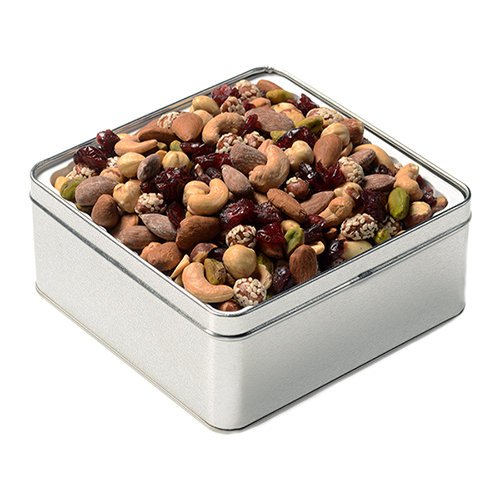 Its chewy and crunchy texture of cranberries, roasted & salted pistachio kernels, almonds, hazelnuts, cashews, peanuts, red skin peanuts, and sesame peanuts will keep you coming back for more. NUTRITION FACTS: Serv. Size: about 1/4 cup (33g). Amount Per Serving: Calories 190, Fat Cal. 120, Total Fat 14g (21% DV), Sat. Fat 1.5g (8% DV), Trans Fat 0g, Sodium 85mg (4% DV), Total Carb. 11g (4% DV), Fiber 2g (9% DV), Sugars 5g, Protein 6g, Calcium (4% DV), Iron (6% DV). Not a significant source of Cholest., Vitamin A or Vitamin C. Percent Daily Values (DV) are based on a 2,000 calorie diet. INGREDIENTS: PEANUTS, DRIED CRANBERRIES (CRANBERRIES, SUGAR, SUNFLOWER OIL), ALMONDS, PISTACHIOS, CASHEWS, HAZELNUTS, SESAME PEANUTS (PEANUTS, SESAME SEEDS, CORN STARCH, WATER, SALT), PEANUT OIL, SALT. This makes a great snack, loved it! We, and everyone we send your Cran Nut Mix, absolutely love it!! It's special every time. the 3 items I purchased were absolutely perfect....everyone enjoyed the selections.. This is our go to snack. The right amount of sweet and not too much. We put some of this in a baggy and take it on hikes both urban and rural. Also like it just sitting on the sofa watching the tv. You can't go wrong with this. Could eat this mix til I'm sick, it is THAT good! And the nut butters are of the highest quality! Was in the Beacon Hill store while in Boston and got a half pound of the mix. Crazy delicious! Could sit down and devour the entire package in one sitting! But didn't. It is however my go to snack before a run or bike ride. Or just relaxing after work. Just got my order of the cranverry mix and it was exactle how i remembered it. I first got a bag at the airport and was amazed on how fresh and balanced with fruit and nut combination. I was first introduced to Fastachi a couple years ago at a fundraiser I attended in Boston. I received a sample of the Cranberry Nut Mix and ended up winning a $100 gift card as well. What an awesome raffle prize... I was able to order so many of their products and each one was outstanding! Always fresh, flavorful and very high quality. Awesome products and awesome company to support local non-profits! My husband first brougt this home. When I found the website I realized I didn't have to work on his chedule. Great mix, love, love, love the salted dry cranberries. I love Fastachi's cranberry nut mix. It has the right balance of nuts and fruit and I only wish it wasn't so fattening. I used to buy it at Whole Foods but stopped because often they did not have it in stock and if they did they overcharged. Once I realized I could order them straight from Fastachi, I never had to go without again. A perfect blend. 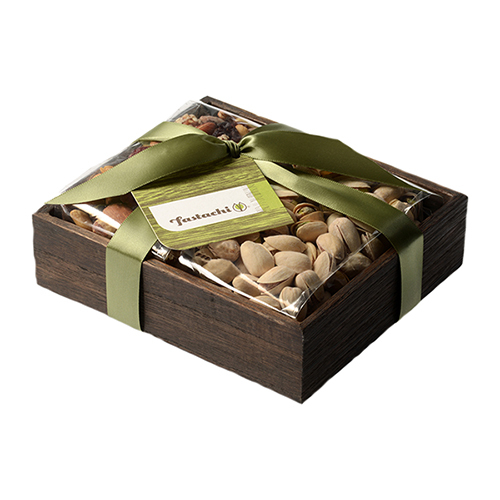 This sweet/tart crunchy mix went fast at my holiday party. Will be a staple at all future events. Thanks guys! Nuts arrived on time and well packaged. They were fresh and delicious. I would recommend these to everyone. Will be ordering from this company again! The cranberry nut mix is a staple of my diet. I order it ten pounds at a time and keep it in the freezer. It's especially great to take along hiking and camping, and I keep some at work for afternoon snacking, too. This combination of nuts and cranberries is just perfect! Better buy more than one because the first bag will just disappear before you know it! I first tried the cranberry nut mix at a party and ordered some for home. It is by far the freshest and most delicious mix I've ever had. 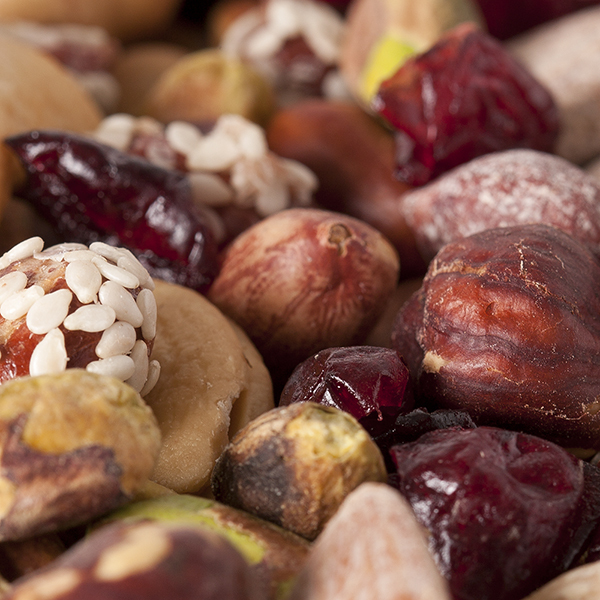 You can taste the freshness of the nuts and fruit! Wonderfully roasted - sweet and lightly salted. I'm a nut snob. . . And your cranberry nut mix is one of the best. I "discovered" Fastachi when a friend gave me a gift of Cranberry Nut Mix for Christmas, and now I'm hooked! The store is a wonderful spot, filled with nutty aromas, they have the BEST nuts you can find (I love the almond and macadamias), and the service is always perfect. 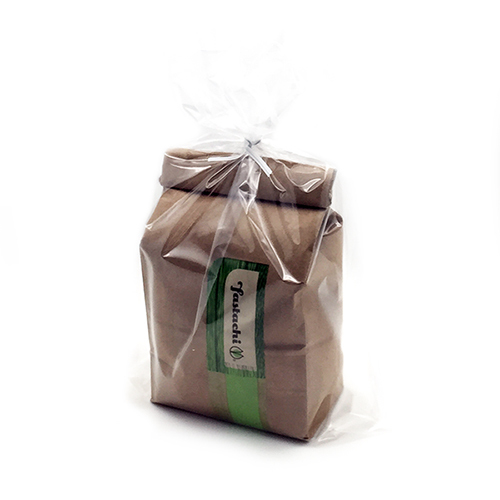 PLus, you can mail-order on line and send gifts to your friends. It's a wonderful place, you should visit.